When Clarify is running, the capture helper application will appear in the menu bar on OS X or in the system tray on Windows. You can use the capture helper to change the capture delay and perform image captures. 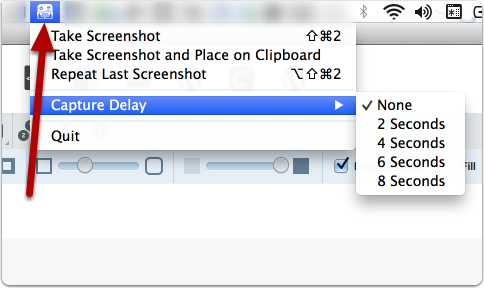 On OS X you will find the Clarify capture helper application in the menu bar. 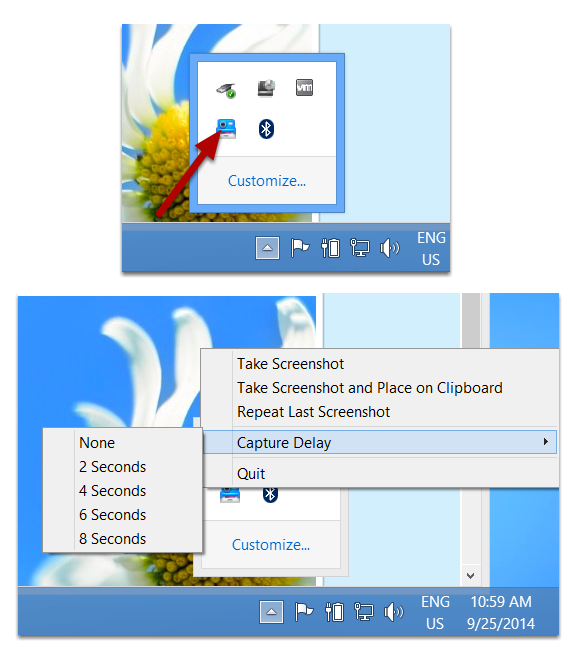 On Windows the Clarify capture helper is in the system tray. Right-click on the Clarify icon to display the menu of options.